Most of us don't wear red from head-to-toe on a daily basis, so why do this to your walls? 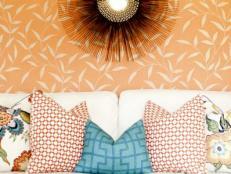 Consider how you wear red and translate your wardrobe to your room. 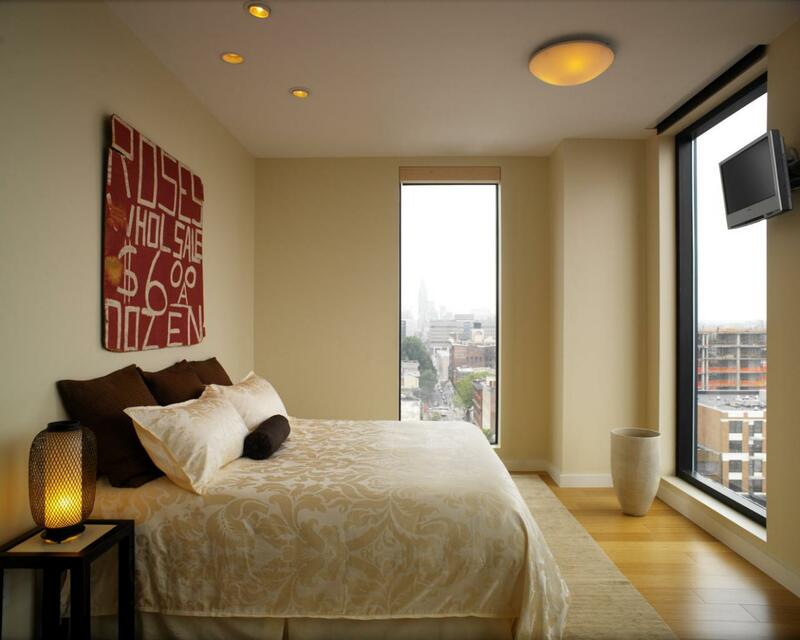 Room design by Gregory Augustine. 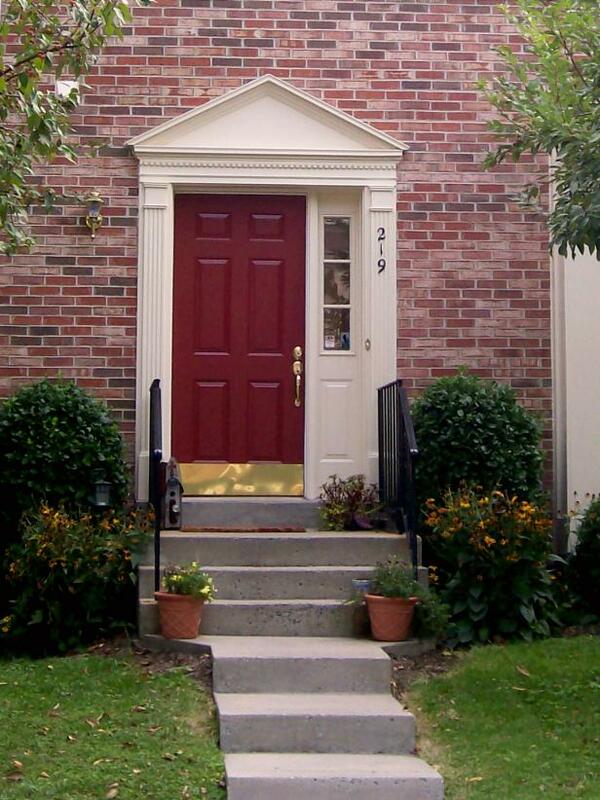 Painting your front door a high-gloss red can add eye-catching curb appeal and personality to the entrance of a home. When considering which shade of red to use, look to your decorating style and your house's architecture. "Red is a color that needs to be well-thought-out, as well as the shade itself," says Jaymes Richardson of Civility Design. 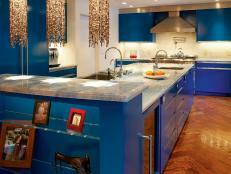 It only takes a small amount of saturated color to bring energy to an otherwise neutral palette. 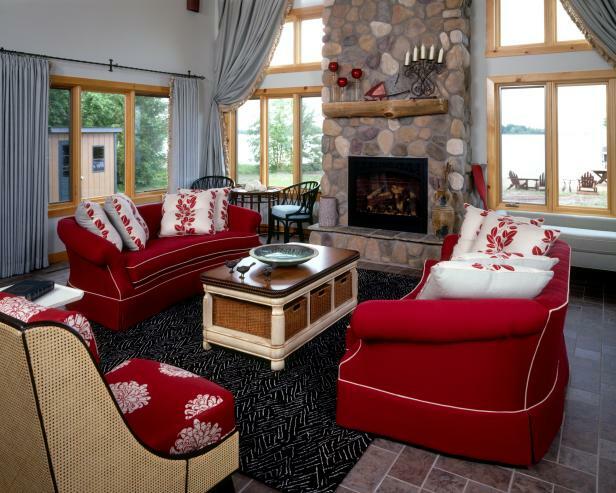 In this airy living room, designer Shelly Riehl David added matching red love seats and chair upholstery to the color scheme. If you choose to go this bold, make sure your space can handle it. High ceilings, a muted wall color and lots of natural light help tone down the bold hue. 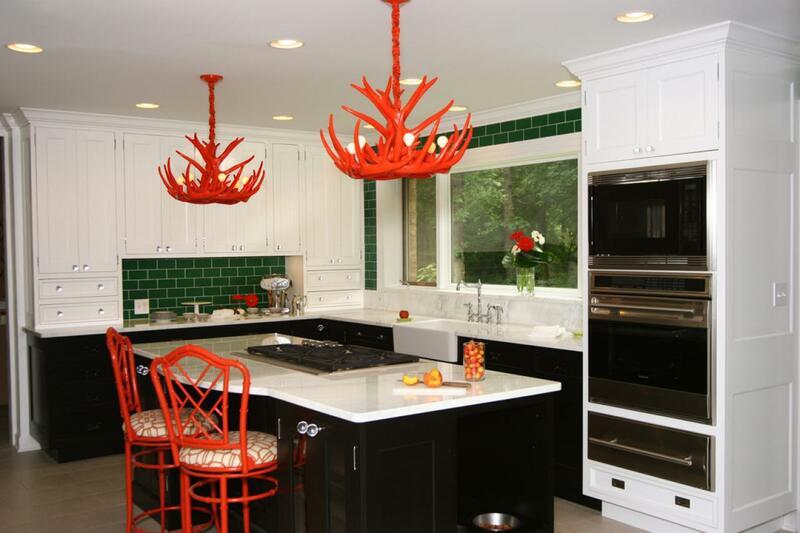 Because red is such a hot color, painting your entire kitchen red is a surefire way to turn up the heat. But that's where restraint comes in. This kitchen was originally painted the chandelier's poppy color, but to keep the "kitchen lighter and brighter," says Civility Design's Don Raney, the team repainted with crisp green and white. 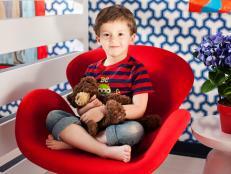 Now the red poppy antlers stand out against a clean background and the color doesn't overwhelm the room. Red antlers not your style? 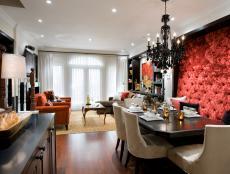 Try scarlet-hued hanging pendants or lampshades. Using red in areas of a room, rather than the whole room, helps to define spaces without overwhelming. 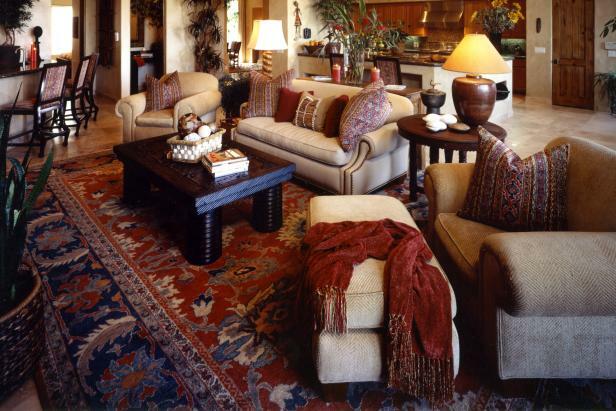 An area rug, especially Oriental, is a great way to bring in the color regardless of your decor. Designer Gia Venturi uses a room-size rug to bring rich, regal color to this monochromatic living space and picks up the color throughout with a few well-placed accessories. 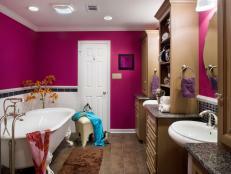 Pink can make your home feel playful, feminine or warm. The trick is choosing the perfect hue. 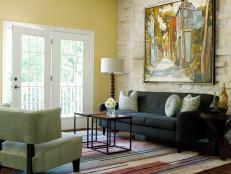 Learn how gray infuses cool elegance and sophistication into your space. 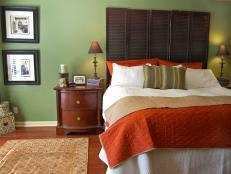 Refresh your home with green, the most spirited and eco-chic color of the color wheel. These green designer rooms show you how.